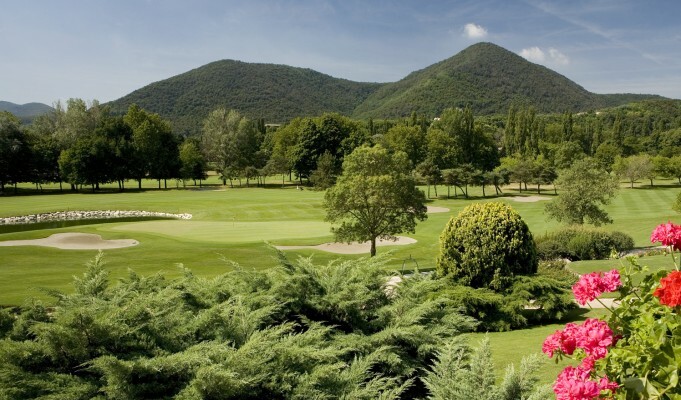 Padua Golf Club at Valsanzibio was funded in 1962, as the exclusive “summer house” of a group of friends, and it represents the first club established in the province of Padua. 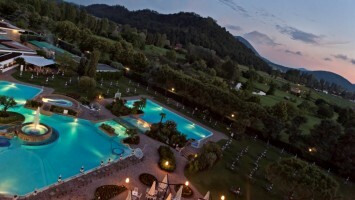 The Club, in the immediate proximity of one of the most scenic and gorgeous historic villas of the area (the seventeenth-century Villa Barbarigo Ardemani), has 27 holes, a comfortable club-house, fine restaurant and suites in the guest house, games room with pool tables, libraries and card rooms, swimming pool, gym and sauna. The courses are of medium difficulty, with fine woodland, creeks and lakes and have hosted well-known tournaments and championships. The links provide three variants which follow one another on a ground covering more than 700 hectares, planted with about 8,000 trees and bushes that were selected by experts depending on technical and landscaping criteria. This is a true botanical garden, with an alternation of ponds and sand islands strategically spread, according to the plan designed by the famous architects John Harris and Marco Croze. The natural setting attracts spectacular species of migratory birds and wild life. The Academy is equipped with Trackman and 3D analysis systems. Facilities: Bar, Restaurant, Billiard and Cards Room, Library, Meeting Room, Gym, Driving Range (50 open and 10 covered Positions), Pitching Green, Putting Green, Carts, Trolleys, Pro Shop, Outdoor Swimmingpool, Sauna, Massages, Suites in Guest House.